It’s been another encouraging week for open education with the launch of the European Commission’s Opening Up Education initiative. The initiative aims to increase the use of digital content and resources in education, address inequalities in the use of ICT in schools across member states, to ensure that universities are ready to face the “digital challenge”. Better ICT infrastructure and connectivity in schools. The initiative will be supported by a number of funding initiatives including Erasmus+, Horizon 2020 and EU Structural Funds. 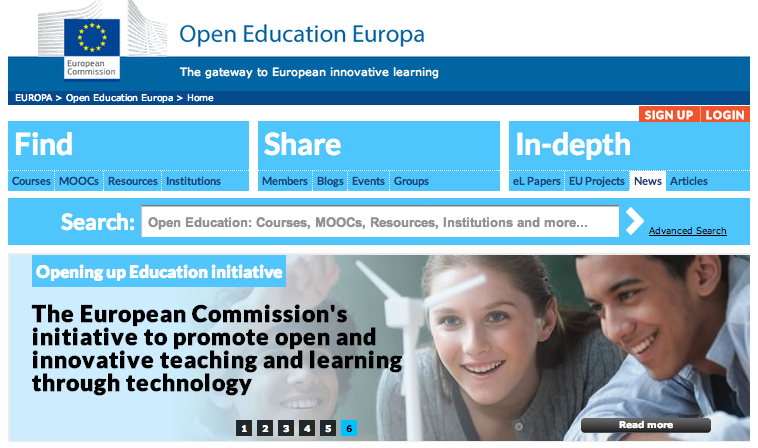 In addition to launching the Opening up Education initiative the Commission have also launched the Open Education Europa portal, a “gateway to European innovative learning”. The portal allows users to search for a wide range of open educational content including courses, MOOCs and resources. Search results can be filtered by subject, level, language and Creative Commons licence type. Although I’m usually pretty sceptical about the “lets build a giant portal” approach to managing and distributing open educational content, it’s great to see a truly multilingual resource. It’s also good to find Jisc funded resources there, including Jorum and Humbox, there may be others, but I haven’t had a chance to have a good look yet. Users also have the option of signing up to Open Education Europa to share blogs, events and groups, and the portal also provides access to a range of papers, news reports, articles etc. 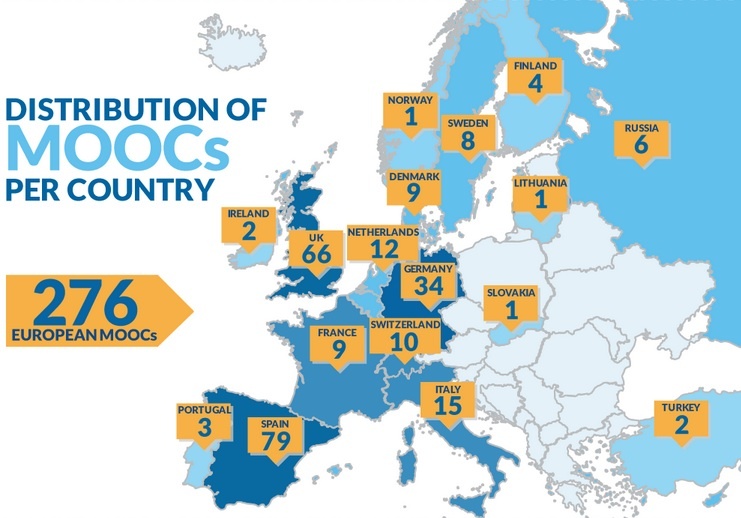 There’s also a rather fun European MOOC scoreboard. Look, Spain are winning! I’ve been following the Opening Up Education initiative for some time and I’m already very encouraged by the Commissions commitment to open education, open licences and open educational resources. I very much hope that the UK will be able to engage with Opening Up Education and build on the success of the Jisc / HEA UK OER Programmes. This entry was posted in oer, policy and tagged creative commons, oer, open. Bookmark the permalink.